At our LIVE registration desk, you can still register for the Saturday Night Banquet ($65.00) and single days ($75.00 each: Thursday, Friday, Saturday, or $40 each: Wednesday and Sunday) or even the entire conference ($300). Welcome to the 2018 All and Everything Conference Registration page. You may register and pay, through PayPal, for the conference using the on-line Registration Form on the following pages or by printing off a PDF copy of the Form and mailing it as instructed on the PDF Form. (Click here for the PDF mail in version.) The form helps the all-volunteer A&E Planning Committee manage and prepare the conference. 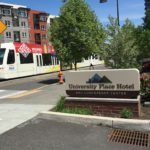 The Conference Registration Fee is payable directly to “A & E Conferences” and is a separate fee from your Hotel costs and the cost of the Saturday night Banquet. As you work through the Registration Form, you will see the breakdown of costs for attending all or a portion of the Conference and the Saturday night Banquet. The Conference Registration Fee includes attendance at the presentation sessions, lunch, and coffee breaks. Please note that hotel and dinner costs, and cost of attending the Banquet are separate from the Registration Fee. 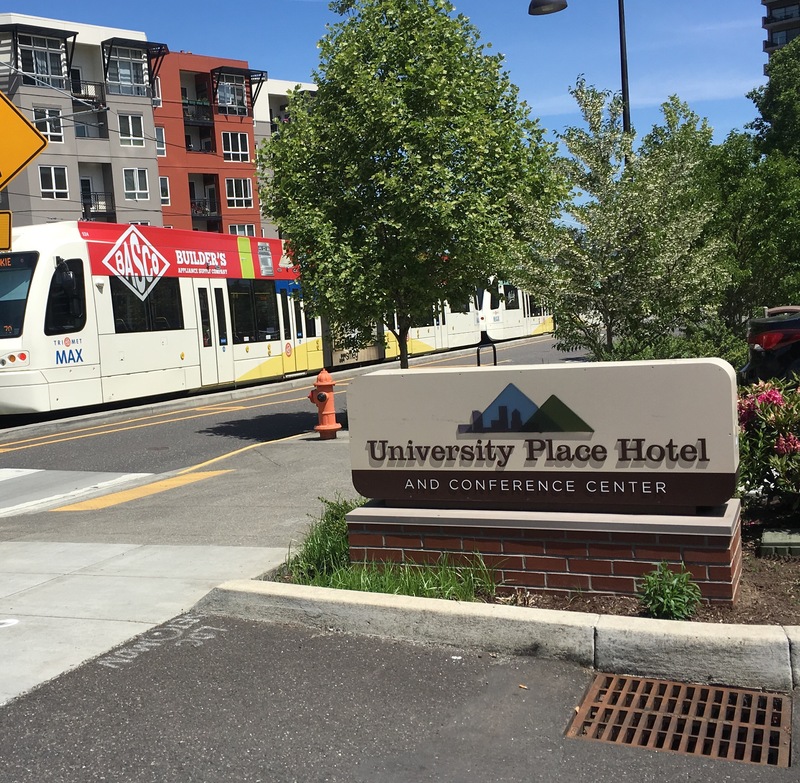 The Hotel for the 2018 Conference is University Place in Portland, OR, USA. Each registrant for the conference manages his/her overnight guest room accommodations directly with the hotel. The special rate for this conference is $89.00 per night, and includes breakfast. In order to make your reservations, please contact the Hotel. Information about the hotel is accessible from the Next Conference page on the website. The Saturday Night Banquet is an additional fee and can be purchased using this form. The Conference Committee needs to inform the Hotel about our attendance numbers, so please reserve your place at the Banquet as soon as possible. To begin the on-line registration process, please click the “Next” button below. You may complete the form and pay using Paypal, or merely indicate your intentions to attend and pay at a later date. You can use Paypal to process your payment with a credit card even if you do not have a Paypal account. For information about USD to another currency, use the Currency Conversion Calculator on the Last Page of the form. Daily Fee for Thursday through Sunday includes Lunch & Breaks only. Breakfast can be purchased at the restaurant. I am choosing a package above and plan to pay through this form. I want to Register my intent to attend now, and handle payment in another way. None of the above. I am submitting this form to the Committee for other reasons. There are two simple pages after this before you can use the Submit button. Use this form to give the Conference Committee a picture of your attendance for the upcoming conference and to pay for Conference Registration and Banquet Fees. I plan to stay at the main hotel where the Conference is located. I have already made a reservation at the main hotel. I plan to stay at an alternate location. Send me email updates about this conference. I wish to volunteer to help at the Conference with small tasks. I wish to volunteer for large tasks at the Conference. My Dietary Restrictions are my responsibility. Please activate the SUBMIT button when you are ready. Many people like to donate to the conference to help the scholarship fund, so we provide the opportunity here as well. Let's consider a donation now.